The cause of cardiovascular disease (whether it’s hypertension, elevated cholesterol, or diabetes) must be evaluated for every individual since each case is unique. Diet and exercise habits need to be evaluated and modifications may be required. Genetic testing may be necessary in cases where family history is a consideration. These genetic tests can reveal polymorphisms (genetic abnormalities) and provide insight about nutritional weaknesses and requirements. The gastrointestinal and endocrine (hormonal) systems must be evaluated for dysfunction as well. Blood chemistry studies, EKG, and ultrasound studies are essential to help determine the level of disease and best course of treatment. Alternative treatment of cardiovascular disease is well documented, and in many cases, it can help restore health without the dangers of medications. Our office uses a variety of typical blood chemistry studies to evaluate cholesterol, glucose, triglycerides, HDL (good cholesterol), and LDL (bad cholesterol). Advanced cardiovascular studies including lipoprotein studies, coagulation rates, fibrinogen, and many others are often utilized to completely assess our patients. Since there are many different reasons why patients have cardiovascular disease, a complete chemistry is required to help assess the underlying cause of disease on an individual basis. All of our blood chemistries are evaluated utilizing orthomolecular analysis to determine nutritional needs and organic/environmental weaknesses. Our office uses standardized electrocardiogram studies to help determine the extent of cardiac risk. Many patients who have early stage cardiovascular disease can safely consider alternative treatment. Some patients may require referral for medical intervention. Advanced, non-invasive ultrasound studies are utilized in our office to help determine the extent of plaque and arterial blockage. This is an important step in a good cardiovascular program. While it is important to improve blood chemistry findings, it is essential that the arterial system improve as well. Utilizing advanced Doppler studies allows our clinic to track and confirm improvements in our patients' cardiovascular conditions with alternative therapy. 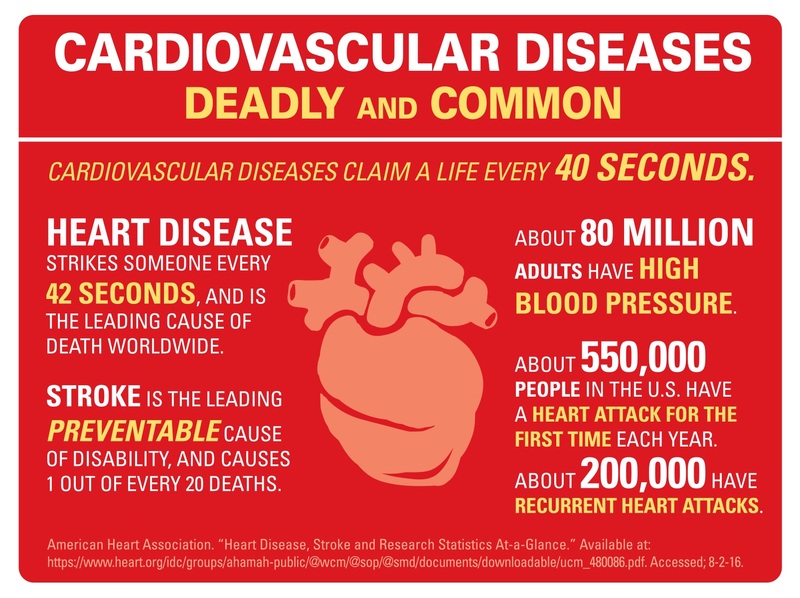 Many people have been falsely convinced that their cardiovascular condition is inevitable due to genetic predisposition. While it is true that individuals may inherit certain genetic weaknesses, these weaknesses can be managed by making conscious lifestyle and environmental choices. While genetic weakness is often an overused and misdirected excuse for cardiovascular disease, recent advances in genetics now allow our office to test for these weaknesses and evaluate necessary changes required to protect each patient on an individual basis. The tests measure what are called polymorphisms, which are alterations in individual DNA strands. Our office offers a complete cardiovascular genomic profile for our patients as a part of our diagnostic protocol. While the causal relationship between what we eat and our cardiovascular health is common knowledge, the effect of good gastrointestinal function on cardiovascular health is greatly overlooked. The presence of such conditions as chronic diarrhea, constipation, bloating, and reflux can cause alterations in our body's digestion and absorption process that often result in increased blood cholesterol and glucose levels. Additionally, many patients present with inflammatory conditions due to food sensitivities that can cause a more rapid destruction of the arterial walls, increasing risk of a cardiovascular event. Our office can evaluate the gastrointestinal system utilizing a complete review of symptoms, blood chemistries, gastrointestinal permeability testing, systemic yeast tests, alkaline/acid balance tests, etc. Once evaluated, these conditions are resolved using natural approaches in an attempt to reduce the risk of cardiac disease developing. In addition to evaluating the underlying causes of each individual's cardiovascular condition, our office uses orthomolecular therapy and various forms of oral chelation to reduce hypertension, cholesterol, glucose, triglycerides, and plaque in the arterial system. All of the products we use are natural, safe, and well researched. We cannot guarantee that everyone will have success with natural therapy; however, we can promise that you will have one of the most effective and thorough natural programs available. We have had great success with patients for over 30 years and we look forward to working with you. Check out this article on Oral Chelation! Good exercise habits are essential for any cardiovascular program; however, many of our patients have injuries or lack experience in determining what exercises are safe and effective. Our physical therapy staff works closely with patients to create an exercise program that is comfortable and tailored to their specific needs. Check out this Boluoke flyer for more details! Hypercoagulation is a thickened blood state and means that your body is producing fibrin strands faster than it can break them down. When this happens, the fibrin may get deposited on the capillary walls. This impedes the delivery of oxygen and nutrients from the blood to the tissues, while also preventing the expulsion of waste chemicals from the tissues to the blood. If this situation persists for a prolonged period of time, the tissues in the body gradually become hypoxic (lacking in oxygen) and malnourished. The end result is often an acidic tissue environment, pain, lack of energy, and the decline of organ functions. Hypercoagulation also predisposes a person to clot formation in blood vessels, especially if atherosclerosis is already present. Modern research has clearly shown that hypercoagulation is often present in patients with chronic illnesses. If the hypercoagulation condition is not addressed in these patients, they often do not improve or they relapse easily. The cause of hypercoagulation must also be addressed in order to achieve a cure or lasting improvement. Some of the most common causes of hypercoagulation are infections, coagulation protein defects (these are inherited), and heavy metal or chemical toxicities. Boluoke (lumbrokinase) is a revolutionary product with a special ability to balance the body's clotting system and maintain a healthy circulation. The main ingredient found in Boluoke is a group of earthworm enzymes collectively called lumbrokinase. For many centuries, the earthworm has been used in Far East traditional medical practice. Korean and Chinese researchers have compiled extensive scientific and clinical data on lumbrokinase. In Korea, lumbrokinase has been used to coat artificial heart valves, and has been shown to be effective in reducing the fibrins sticking to those heart valves. Chinese researchers have put Boluoke through various trials and have used it clinically for hypercoagulation and clot-induced hypoperfusion (diminished blood flow) conditions since the early 1990s with excellent results. Many acute and chronic conditions commonly associated with modern diet and lifestyle often lead to a hypercoagulable blood state, which means the body’s fibrinolytic activity is under-functioning relative to the body’s pro-coagulation activity. In a hypercoagulable state, these two systems are out of balance and the blood is more prone to forming excessive fibrin. Boluoke can support the body’s fibrinolytic system and bring the whole system back into a more balanced state. Hypercoagulation is not a disease, but merely a blood state that is often associated with many conditions. However, hypercoagulation can contribute to the progression of many conditions if it is not brought back into balance. The causes of hypercoagulation can be inflammation, infection, trauma, toxicities, etc., and correcting the underlying cause of it is the long-term solution. Concurrent administration of strong anti-platelets like Plavix, Ticlid, etc.